Hi, I'm searching for some background information on the CAT (Capsule Ariane Technologique) payloads which were part of the first Ariane-1 development flights. Who built the capsules? Did they share a common configuration? What about the Thesee and/or VID experiments related to CAT-04? Couldn't find anything about this experiment. Was it part of CAT or something stand alone? CATs were built by Aeritalia, Thesee by youth science club GAREF-Paris, no information on VID, apart from it being a vibration damping payload mount. With your help I've found this: http://www.garef.com/aero/aero_satel.htm. Not much at all. But at least it's a beginning. 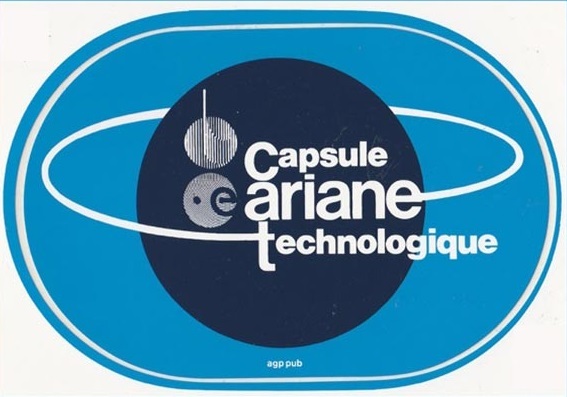 The CAT (Capsule Ariane Technologique) capsule is a cylindrical module 1,2 meters in diameter, 1 600 kg (1385 kg are aluminum ballast on the top). CAT provides information on the atmosphere must support a satellite launched by Ariane. It is equipped with vibration acceleration, acoustic noise and pollution sensors and telemetry transmitters (131.61 and 2206.5 MHz powered by batteries). Battery life limited to sixty hours the life of the CAT, time sufficient to allow the determination of the orbital parameters accurately. The CAT (Capsule Ariane Technologique) capsule is a cylindrical module 1,2 meters in diameter, 1 600 kg (1385 kg are aluminum ballast on the top). Yes, I knew this before. But I think the weight (including ballast) is accurate only for CAT01? 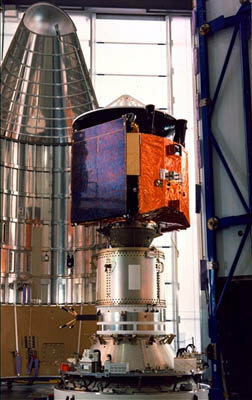 L03 was used to launch Meteosat-2 (>700 kg) and APPLE (>600 kg). 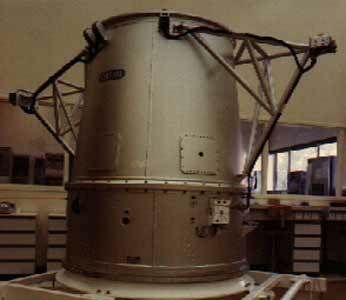 L04 launched MARECS-A (>1000 kg). With an GTO performance of 1700 to 1850 kg for Ariane-1 there must have been less ballast (if any) on the flights following L01. But I couldn't verify this. 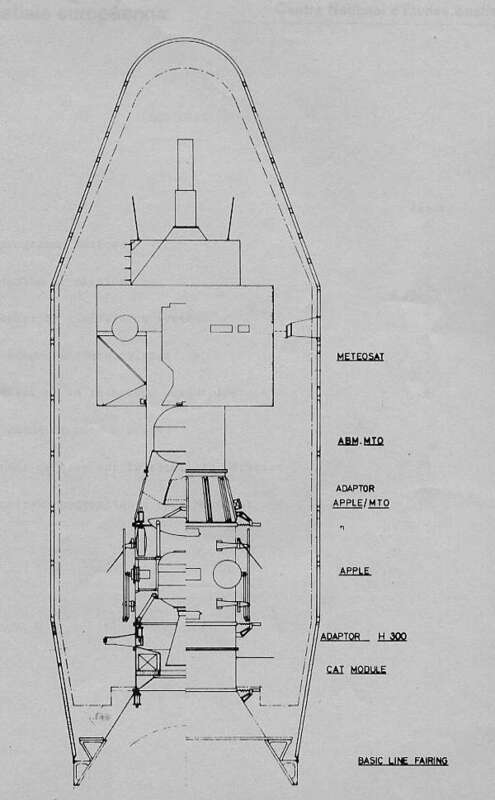 And I was wondering if they only reduced the ballast or used different configurations of the capsule itself. I think my sources were press reports at the time, probably drawing on the ESA presskits. I've seen a picture of CAT 4, longer and with the cylindrical VID on top. First of all: thank you all! Interesting to see that we have some new details, even to other geeks. And now a final question. Please don't laugh at me. But I was always under the impression that the whole "thing" seen in the photo attached to Didier's post is the CAT. But as I understand it now CAT is only the lower cylindrical part. If so, what's the upper tapred cylinder with the two booms? the part with the two boom is just classed as ballast to simulate the weight of a spacecraft. My shorter/longer comments included the ballast and the VID in the length compared. The lower cylinder, the actual CAT, seems similar in all of them. CAT 2 carried ballast, subtracting it gives the basic CAT mass as 245 kg. Perhaps CAT 4, possibly also CAT 3, was lighter because it carried less instrumentation, rather than for any change to the structure. Some more info, Laben and Selenia were also involved with CAT, below a better picture of CAT-1 during integration tests. object tagged with the name CAT', we need to include it. Found some more information while in Kourou and talking to some people.